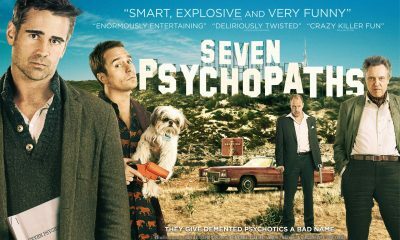 All posts tagged "Seven Psychopaths"
New SEVEN PSYCHOPATHS Promo Clip and 16 TV Spots! Watch Colin Farrell & Christopher Walken In New Rad Band Clip From SEVEN PSYCHOPATHS! AWESOME: 6 Artistic Posters For SEVEN PSYCHOPATHS!